For the first time association executives are able to better understand how relationship strength impacts the ability to improve engagement with members and customers through empirical data. 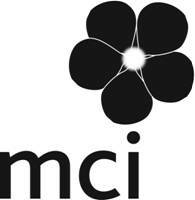 In the Spring of 2016, MCI along with its partner FairControl, launched the Global Engagement Index to measure the performance, relationship strength and outcome of engagement tactics as seen through the eyes of associations’ customers and members, allowing like-minded associations to benchmark their performance against that of 15 leading brands across multiple sectors. Join Renata Lerch, Deputy Managing Director of the American Society for Quality and Elisa Pratt, Chief Global Member Engagement Officer of ASIS International, for a discussion on the results of the GEI and insights gained by their associations from analysis of their own member and customer data against the global benchmark. This free 45 minute webinar will take place on December 7th from 100pm-145pm Eastern. ASQ and ASIS were joined by 13 other major associations for the GEI 2016 including: American Concrete Institute, American Institute of CPAs, APICS, American Society of Civil Engineers, American Society for Clinical Pathology, American College of Chest Physicians (CHEST), Institute of Electrical and Electronics Engineers, International Facility Management Association, International Society of Automation, Information Systems Audit and Control Association, Material Research Society, NACE International, and the Society of Critical Care Medicine. How strong is the relationship with members and customers outside of the US? What is impacting for good or bad the quality of these relationships? What resources deliver the most value and impact engagement the most? How relevant is the value proposition to the needs of local members and customers? What levels of engagement are there and how do members and customers fit into this model? For questions on the webinar or GEI2016 (such as to receive a copy of the free report), please contact Peter Turner at 571.275.1516 or peter.turner@mci-group.com. Seating is limited so sign up here today for the December 7th webinar from 100pm – 145pm Eastern.